A listless canary may be simply resting during the molt or is sick. 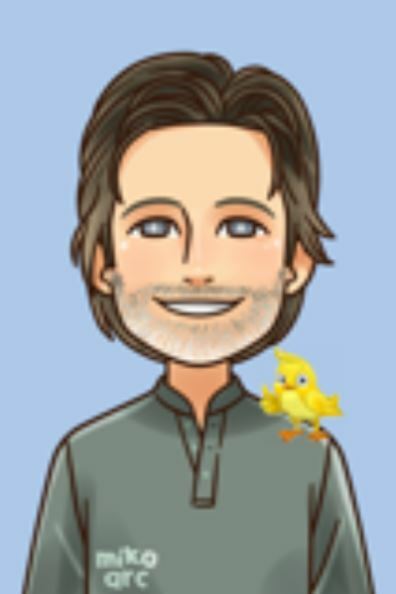 "I cant figure out what's wrong with my canary. He started squatting on his perch about a month ago and looks like he is shivering at times. He still eats well and sings but doesn't fly around as much. Please help." As of this writing it's mid-summer so your canary bird could very well be starting his molt a little early. Molting can be quite taxing resulting in a lowered immune system. 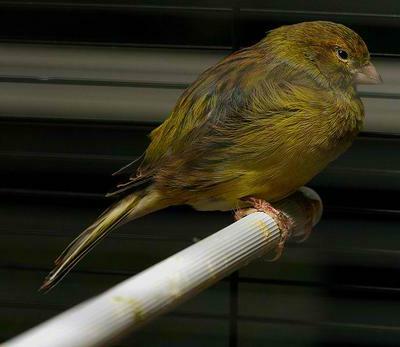 Crouching, shivering, feathers fluffed up are typical signs of a sick canary that is trying to keep warm and conserve energy. The fact that he's still eating and singing is a GREAT sign. He may be simply resting from the annual molt...hopefully that's all it is. It's pretty normal for canaries to be a little listless in the summer/early fall while they grow in almost 2,000 new feathers. There are a lot of illnesses that can cause these symptoms also including bacteria, viruses, fungi, and a few others. It's incredibly difficult to know for sure what the cause is. Getting a test from an avian vet is the most sure way of getting a correct diagnosis but sometimes even they have to just make an educated guess. Regardless of the cause, treating a sick canary includes keeping the cage area warm (around 85 - 90 degrees F), offering plenty of nutrient rich foods such as greens and fruit, and keeping your bird in a quiet stress free environment. I find that most canary owners don't want to spend their hard earned cash on a vet and that's completely understandable. But it is important to at least give him the basic remedy described above. It can sometimes work wonders. This treatment is more fully described here...click now. I hope that helps and I hope your bird gets better fast!